I'm a budding writer and avid photographer from Perth in Western Australia. If you've read my reviews, you'll know that I'm a huge Fringe Festival fan. This year, I attended over 40 shows - and had the time of my life! How does that relate to Babooshka, I hear you ask? Well, they started following one of my Instagram accounts, presumably because they also love the Fringe. I had a look at their Instagram feed, and was immediately impressed by the look of the food and drinks (especially the shakes) that they had on offer. I promised myself that I'd visit them and see if their food actually tasted as good as it looks. It took me nearly two months, but I made it there for breakfast - although their menu emphasises 'brunch'. Either way, it was worth the wait. Babooshka is tucked away down Arcade 189 in William Street, and is only a short walk from the CBD or the Cultural Centre. When I arrived, there were a couple of groups who looked like happy regulars there, meeting up for a bite to eat before work, with one person being really dedicated and working away at one of the outside tables. It's always nice to see happy customers when I visit somewhere for the first time. It gives me some confidence that I'm about to enjoy something good. I certainly was in for a treat. Despite the two full tables outside Babooshka itself, I was able to place my order immediately – although it took me a while to make a choice from the incredible offerings on the menu. These included Smashed Avo (smashed avocado and cherry tomatoes, topped with Cilantro Lime Cashew cream on toast), Dukkah Eggs (Baba Ganoush, haloumi, spinach, spicy chickpeas, and mushrooms on toast), and the Tsar's Breakfast (poached eggs, Speck bacon, wilted spinach, haloumi, and confi cherry tomatoes). I'll let you discover the rest for yourself when you go. Almost all the menu items have dairy-free, gluten-free, vegetarian, or vegan options, so you'd be hard-pressed to not find something to enjoy. I chose to be a little indulgent, and asked for the Challah French Toast with Macadamia crumble, Blueberry compote, and Chai cream, with a Long Black. Wow! I'm so glad I did. This was, very simply, the best French Toast I have ever eaten. It's a simple dish, which makes it hard to offer something unique – but Babooshka have managed to do it. The toast was perfectly prepared and presented, and the Macadamia crumble and Blueberry compote was delicious. What sets this apart from every other time I've eaten French Toast is the Chai cream. The flavour and consistency is stunning, and it really puts the dish into my 'outstanding' category. The fact that the coffee was also one of the best I've had in Perth for a while didn't hurt my opinion, either. According to their website, Babooshka has partnered with Blacklist Coffee Roasters, and while I hadn't heard about them before, I won't forget them in a hurry. Having said that, Babooshka's shakes look wonderful! 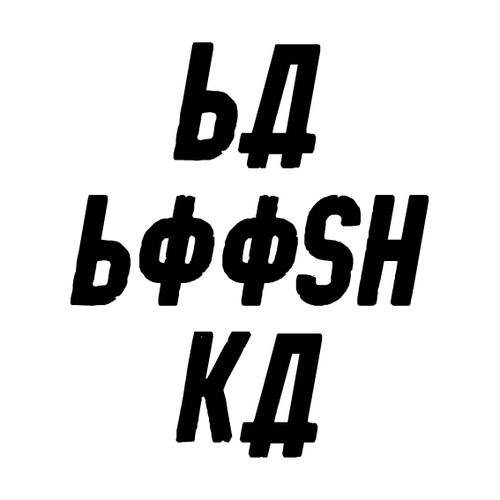 Babooshka is open from 7am to 2pm Monday to Friday, and 8am to 2pm on the weekend. If you want to treat yourself to an outstanding breakfast/brunch, I urge you to visit them as soon as you can. I suspect that they're going to achieve a particular degree of notoriety quite quickly, if they haven't already – so get in before the rest of Perth discovers them. They offer a quite unique experience, with good and friendly service and outstanding food. Just go! Why? If you want to have a real treat for breakfast, give Babooshka a try!